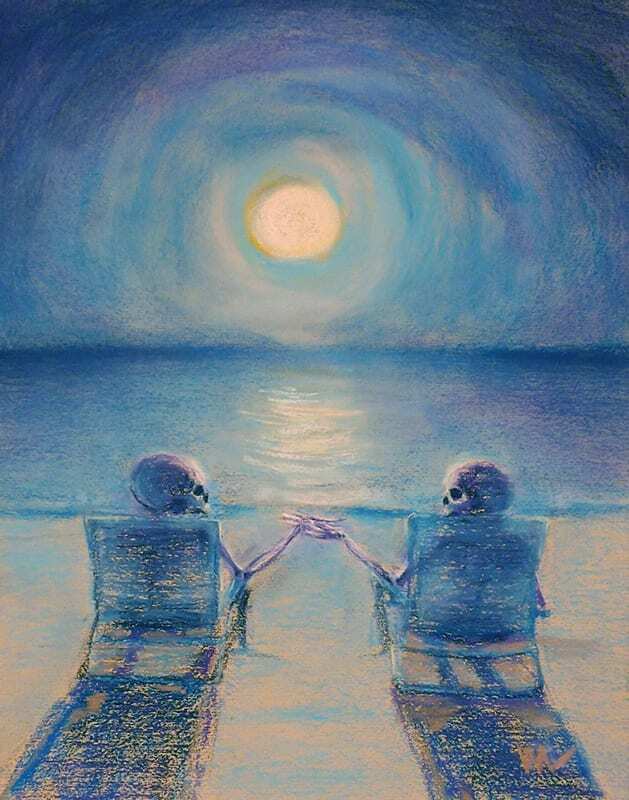 In this painting, a skeleton couple enjoys the moonlight on the beach in St. Augustine, Florida. It should be a romantic setting, but intimacy isn’t always the easiest thing to achieve. This is one of many paintings from my skelly series, Greetings from St. Augustine.